I got busy today working on a project. I’ve made some passing references to this since I started posting every day, and I guarantee I’ll be talking about this a lot more going forward. But until then, meet SMOBOT. 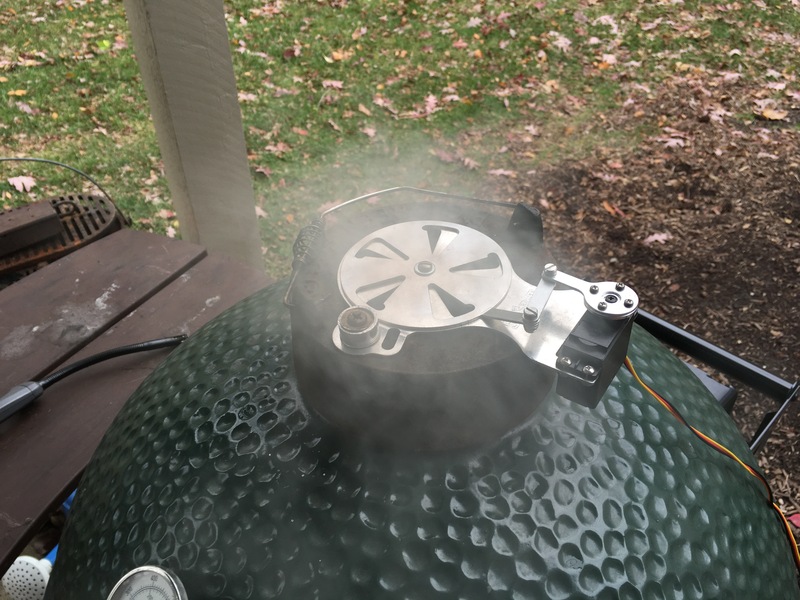 It’s a robotic damper controller for kamado-style cookers. Basically it monitors the air temperature inside the cooker and adjusts the damper so it maintains your target temperature. I’m helping out with some documentation and video work. It’s a nice day at the office when you have to fire up your smoker to get work done. I’ve already missed posting one day this year. I don’t want to miss another. I’ve had a good leap day.